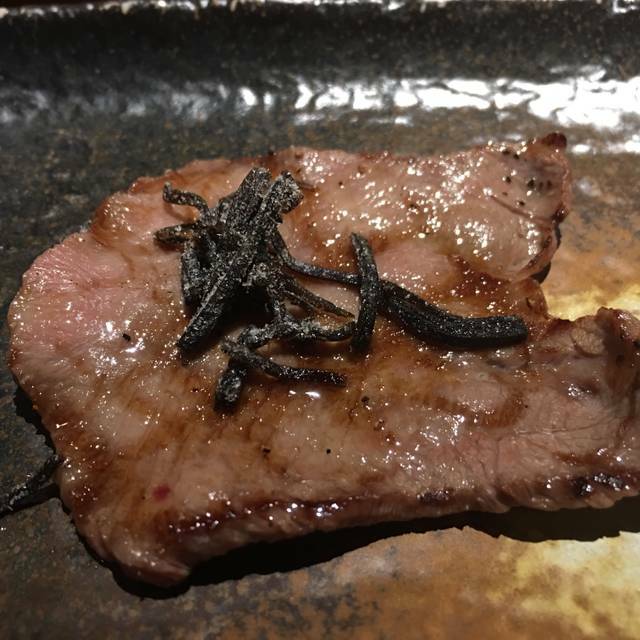 A restaurant that purchases whole Kobe Beef cows Away from the city hustle bustle, please relish the highest graded Kobe Beef. 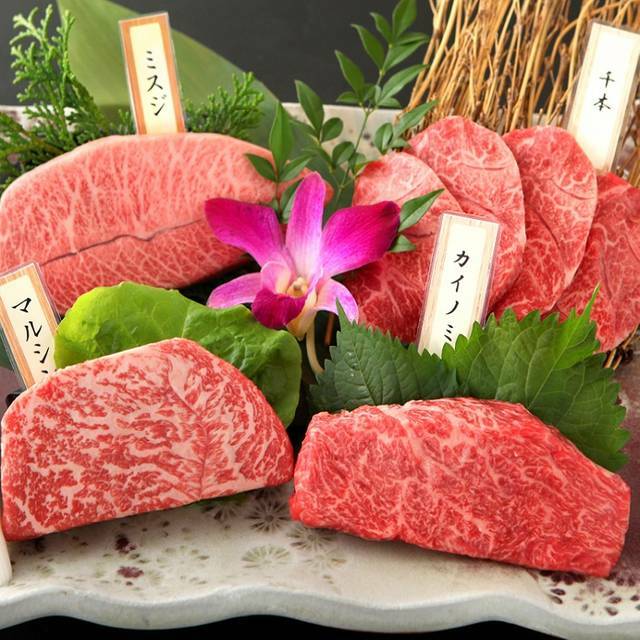 Kobe Beef - the best of Japanese Wagyu selected among thousands of Tajimagyu. The just right balance of sweet fat that melts at room temperature and tasty lean meat. It is our pleasure to offer you miraculous ingredients in a relaxing atmosphere that reduces your travel fatigue away from the city buzz. Important Note：Cancellation policy: We have received cancellation fee as below(Per person)●Cancellation on the day of reservation:10000yen●Cancellation of the day before the reservation date:5000yen※We made a rise in the price due to difficulties in acquiring Kobe beef and raised procurement price. For details, please check directly with the website or us.※Kobe beef has a limited number of menus.※ f you do not come even after 15 minutes from the reservation time, it will be canceled. We went there for a birthday celebration, and the staff were very accommodating for a large group. Also they helped with service of the cake. Service was excellent overall! Meat was delicious, though personally I would avoid choosing the rumen again. Meat as is, without marinate, is great! Lighting is a tad dark, so difficult for nice group photos. Kobe beef is Kobe beef. 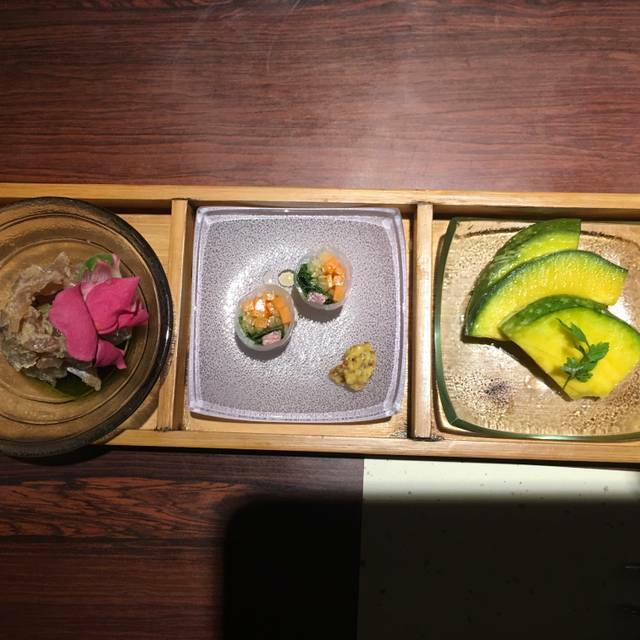 Service was exceptional, very accommodative and one of best experience I have had in Japan. The food was delicious. We went with "Best" selection of cuts, that was recommended to us by the staff. The beef melted in our mouths - the sirloin and the beef sushi were especially good. Service was very good - since it was our first time in a yakiniku restaurant the staff did the first few slices of meat for us and recommended some pairings. The price was quite high but that's to be expected for Kobe beef. The waitress/chef was very insightful, friendly, and attentive. Looking forward to going back as soon as I can. Our favourite yakiniku restaurant in Tokyo. Not cheap, but the service and quality of the meet more than make it value for money. Can't wait to visit again. Best beef I have ever eaten. Would recommend to anyone. Really friendly staff. Made my girlfriends birthday special. Oh, and great beef! 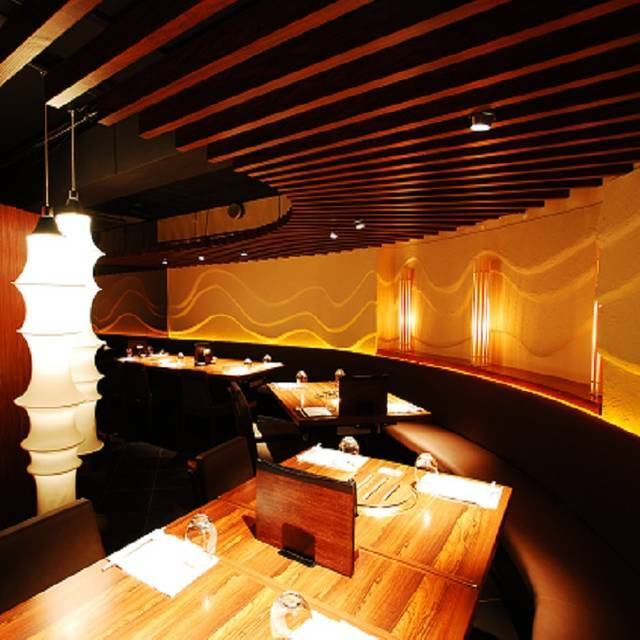 Great food and pleasant ambiance. On the higher end of sinking but well worth every penny. Recommend. Amazing food and incredible service. We loved this restaurant, we got menus in english and the staff spoke english. Can't recommend this restaurant enough. I have no words to describe how delicious the food was. Will come back again. Awesome yakiniku and amazing staffs. 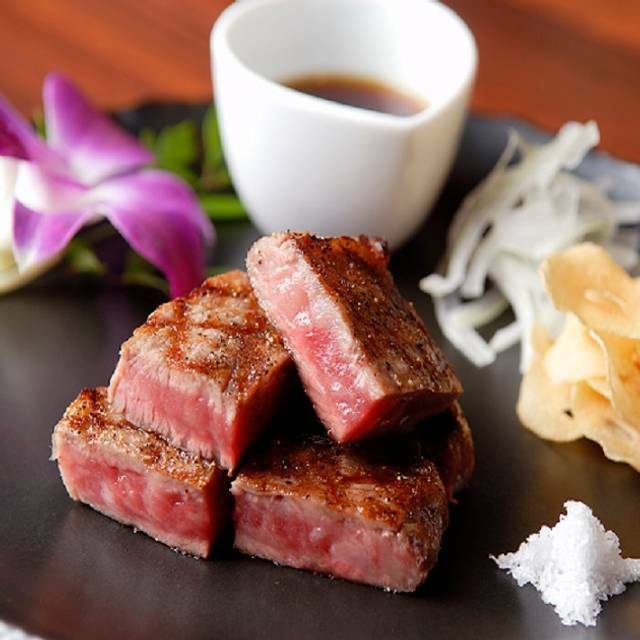 Great quality beef from Kobe + charcoal grill = OISHII desu. A wonderful experience! The beef was so delicious and the service was good! Great food. Great service. Would highly recommend the kobe beef. Very tasty. Kobe Beef Ikuta was probably one of the best meals I have had in my life, if not the best. We got the combination set, not just barbecue, and I sort of regret it. Not because it wasn't delicious, but because the meat was just that tender and amazing! I think I would do that barbecue set if I was to go back. 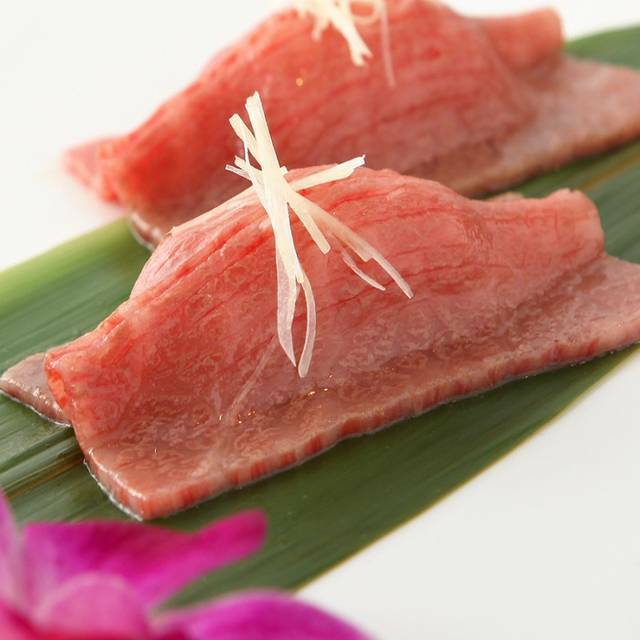 The kobe beef just melted in our mouths! The service was amazing. I had forgotten my cell phone in a shopping mall before getting to the restaurant, and they were kind enough to call the mall for me and arrange for me to pick up my phone. Overall, you would regret it if you didn't eat here. 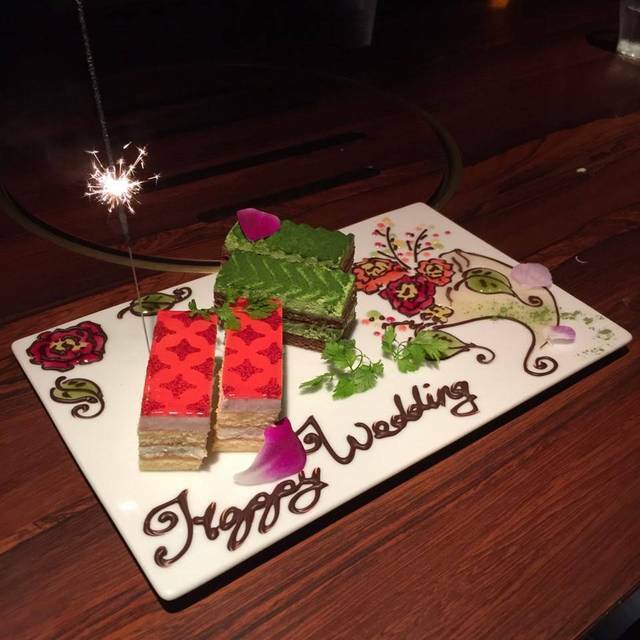 The chef even drew an amazing picture with chocolate and cake for my husband and I since it was our honeymoon! My second time here, and I loved it. Great food, great service. Near yoyogi JR which I liked. Fabulous from start to finish. 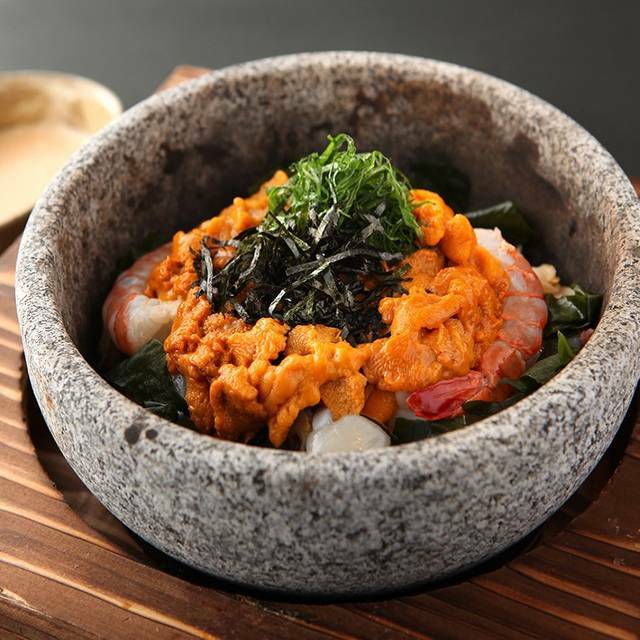 The food was outstanding, and the service very good considering my Japanese is non-existent. The beef was unsurprisingly superb, but do try a few of the more unusual (to a Westerner) items, such as the entrails, which are divine. Went here with my husband based on a coworker's recommendation. What a treat!!! Ambiance was nice and felt very personal, despite the open space. Perfect date / special occasion location. We had a set menu from Ikuta, which was an experience in an of itself. The food was delicious, and very well portioned. If you are unsure, the waiters/waitresses will demonstrate how to cook your meat and for how long. Most notably, the service was absolutely OUTSTANDING - the owner should be proud. We were amazed by the waitresses, who all spoke a decent amount of English. They really look after every small detail and every time we thought we could not be more impressed, they managed to raise the bar higher. Worth every penny for the experience and food. 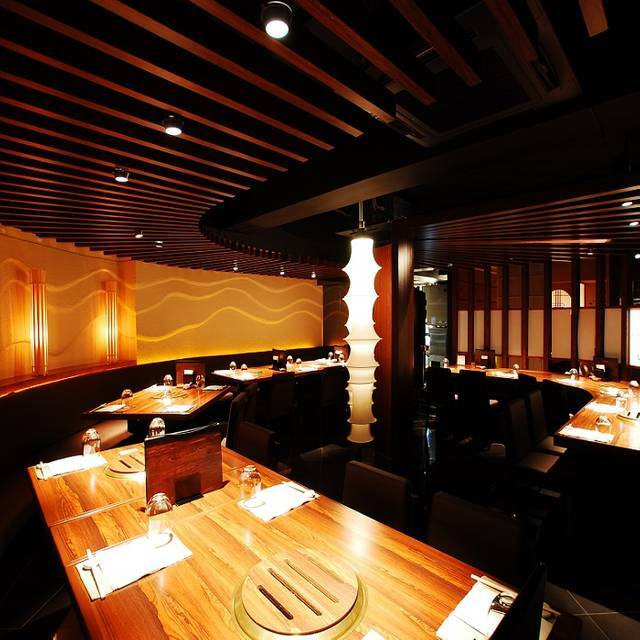 Excelent dining place in Tokyo for Kobe beef, excelent ambiance, food and service! I would totaly recomend to a friend! The Kobe beef was divine and value for money. Service was fantastic. This is a lovely restaurant. We were welcomed by kind and smiling staff . Our waiter is very helpful with enough English, menu explained nicely although there is English menu. You will eat kobe beef here and you will please your mouth absolutely, no worries. And off course you will pay for that:-). That is OK for the this quality and ambiance. You may budget around 100-150 USD per adult based on your appetite and selection of wine. Yakuniku is a good and joyful eating style that my kids (12 and 19) enjoyed much. NOTE: Pls. ask your taxi driver to check the Japanese displays around since there is no latin "IKUTA" letters in the entrance. My wife and I were in Tokyo for three weeks this summer. We wanted to see all the key places and try all the best cuisine. The kobe beef at Kobe Beef Ikuta was the best meal we had during the trip and arguably in our lives. Nous sommes allés en famille au Kobe Beef Ikuta. L accueil est parfait (en anglais), l ambiance intimiste et la viande délicieuse. Très bons vins. This is a cook yourself hibachi grill restaurant. The meat is super rich, exactly as it should. Not a lot of vegetables; we got the "grilling vegetables" which is actually lettuce & julienned carrots/cucumber/radish to make rolls like you would in Vietnamese cuisine. Quality of beef was impressive. The marbelling of fat was insane. Really enjoyed dining here as it was our only "beef" meal in Tokyo. The staff had excellent service and offered to teach us how to cook the expensive meat properly. Quite convenient to find place, just few meters from YOYOGI station, food is ok, people work there are nice even you are foreigner. We had a great dinner here. We were really well looked after for our wedding anniversary. The food was superb. Service was superb. Food was outstanding. We reserved a private room for a birthday celebration for a small fee. It was well worth it. The plating of the food was meticulous and I'm still dreaming about the very marbled meats. Definitely worth a visit. Excellent Kobe beef, very nice and friendly service! One of the best meals of my life!